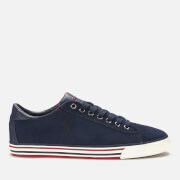 Men’s ‘Sayer’ navy canvas trainers from Polo Ralph Lauren. 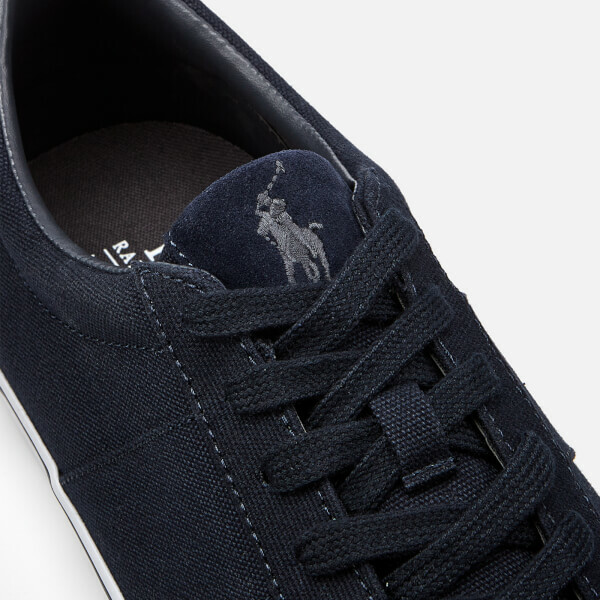 Crafted with canvas uppers, the lace-up sneakers are detailed with the signature pony logo embroidered to the tongue and tonal suede detail to the heel. 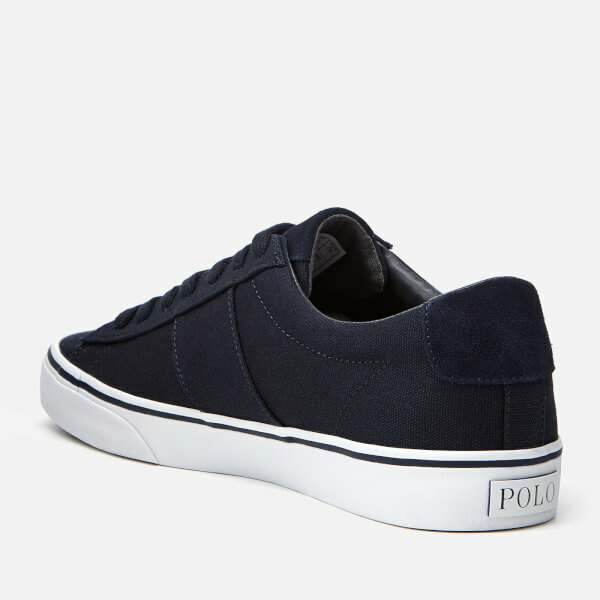 Set on a white rubber sole, the low profile trainers feature a treaded outsole for added traction. 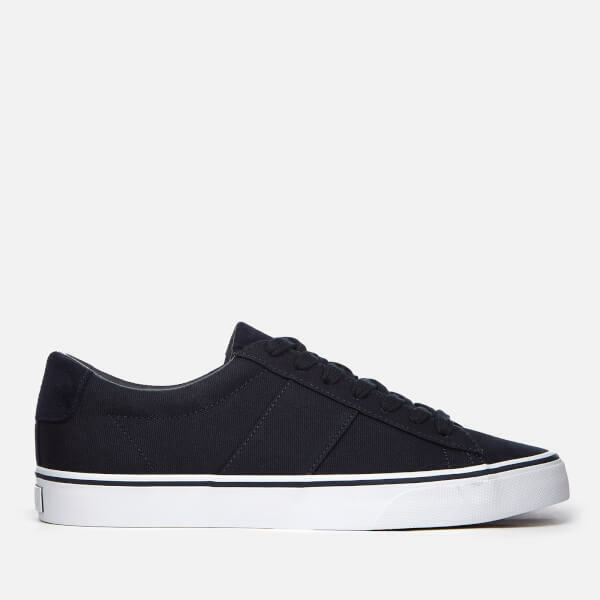 The low top trainers feature an RLite, cushioned insole for all day comfort. 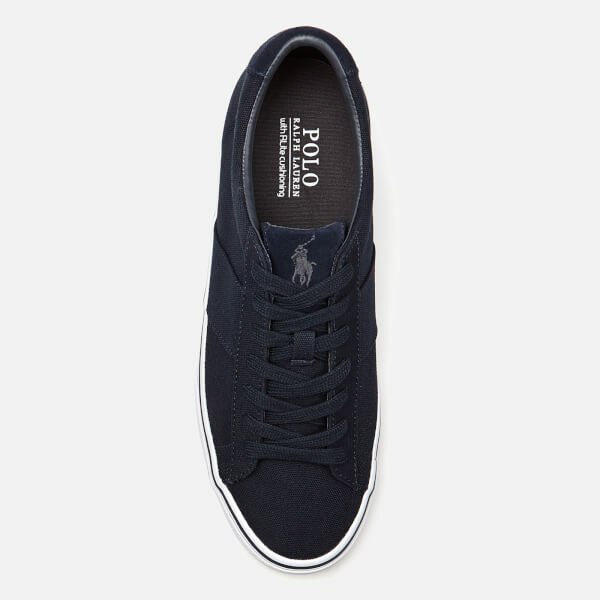 Complete with a Polo logo licence plate to the heel.